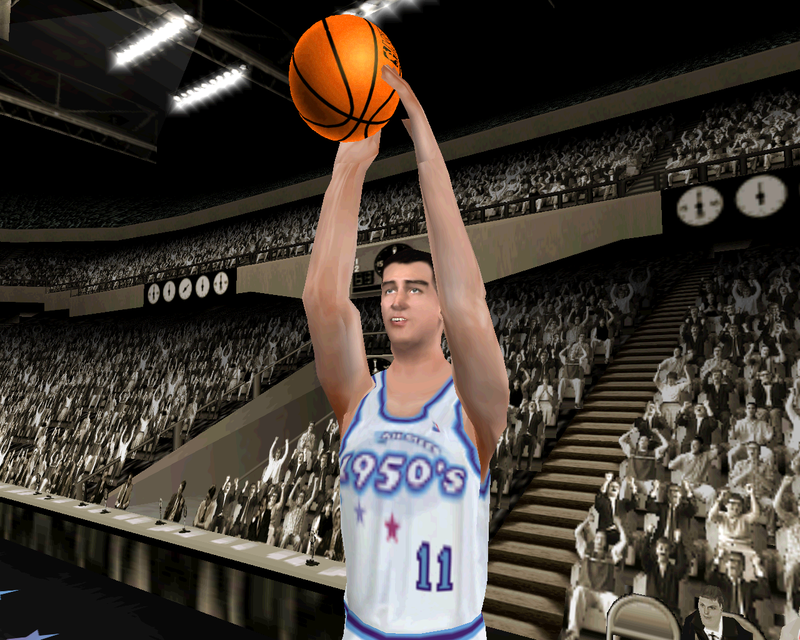 The 50s All-Stars in NBA Live 2000 were made up of Bob Pettit, Dolph Schayes, Paul Arizin, Bill Sharman, Bob Cousy, Harry Gallatin, Andy Phillip, Richie Guerin, George Yardley, Larry Costello, Cliff Hagan, and Carl Braun. 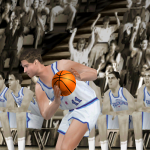 Conspicuous by his absence is the league’s first marquee superstar, George Mikan. 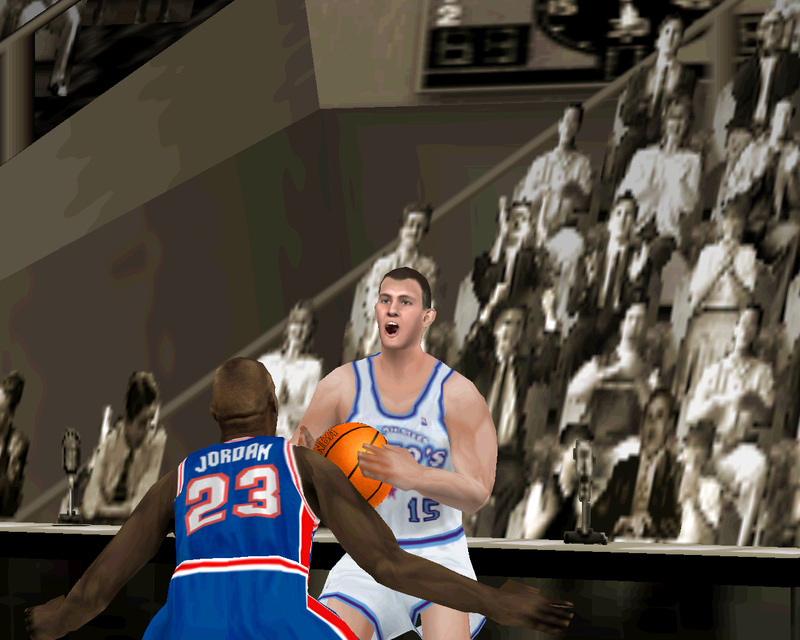 Mikan would not make an official appearance in the series until NBA Live 07, though he’s more recently been featured as a collectible Legend in Ultimate Team. While most NBA history buffs are probably familiar with most (if not all) of the names on that list, Bob Cousy’s name is perhaps one of the first that jumps out on that 50s squad. 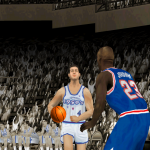 The Houdini of the Hardwood enjoyed a distinguished career for the Boston Celtics, becoming the first player to score 50 points in a Playoff game, and won six championships alongside Bill Russell (a member of the 60s All-Stars in NBA Live 2000). 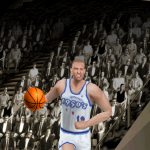 If you were a 90s kid like me, you might remember his appearance in Blue Chips, where he made free throw after free throw. Neither that feat, nor Nick Nolte’s response, were scripted. Bill Sharman joined Bob Cousy on four of those Celtics championship teams. He also coached the 1972 Los Angeles Lakers to the title, and owns the record for the longest field goal in the history of the All-Star Game. Bob Pettit, another standout, led his St. Louis Hawks to a championship against Russell and Cousy’s Celtics in 1958, and is a four-time All-Star MVP. 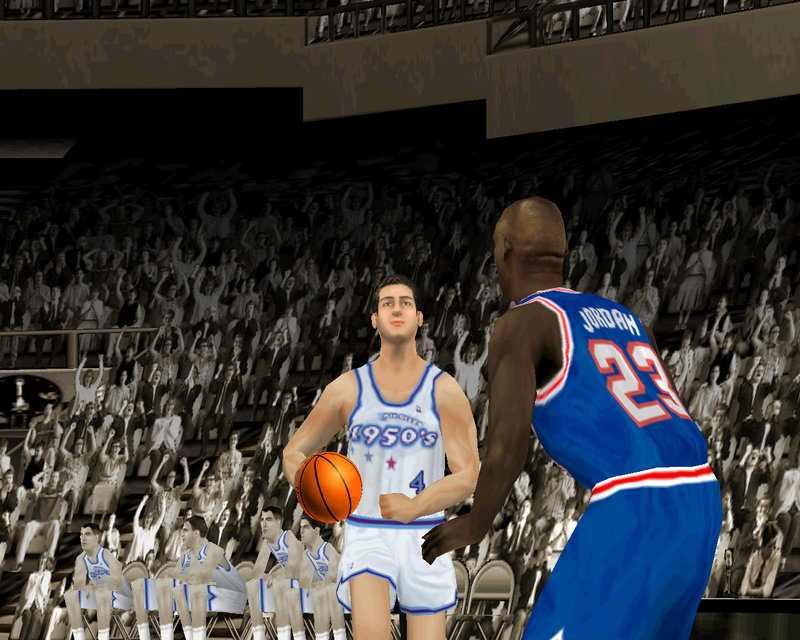 Dolph Schayes – whose son Danny played in the 90s – averaged over 20 points per game for six straight seasons, with his patented set shot. 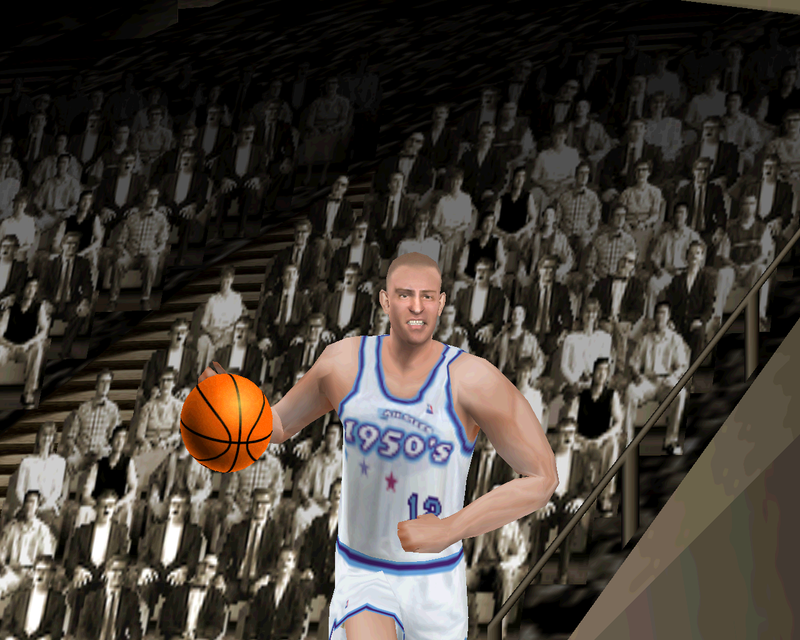 Cliff Hagan had a fine career, but was notably traded to the Boston Celtics along with Ed Macauley in exchange for Bill Russell, whom the St. Louis Hawks had taken second overall in the Draft. Yes, Bob Pettit and Bill Russell might have been the original twin towers, if not for that deal. 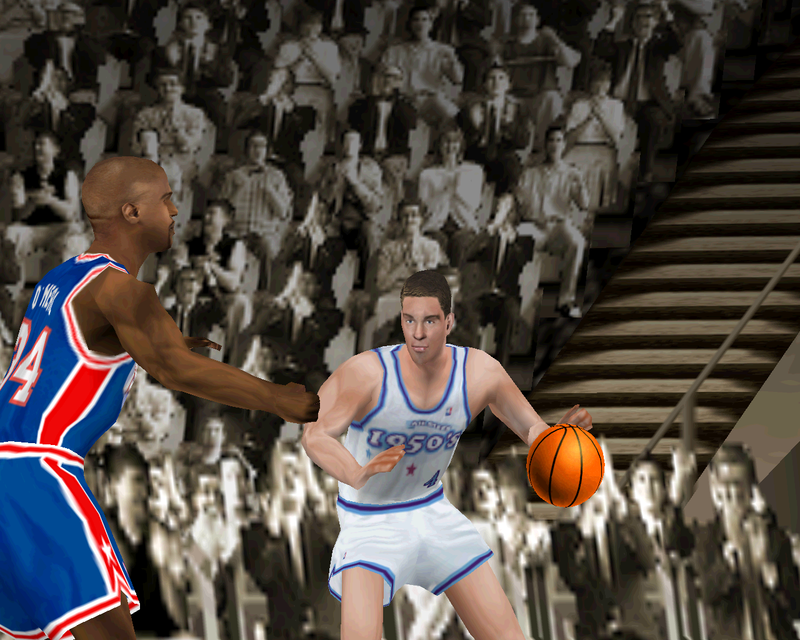 Harry Gallatin led the league in rebounding in 1954, and was a seven-time All-Star. 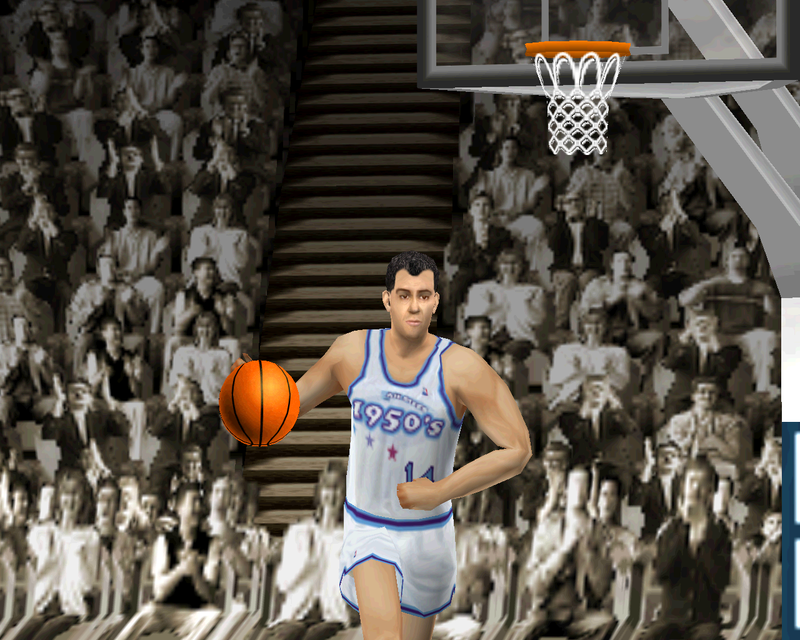 Larry Costello was a solid point guard who made several All-Star appearances, and twice topped the NBA in free throw percentage. George Yardley and Richie Guerin were prolific scorers, as was Paul Arizin, who had the highest scoring average and third most points when he retired. 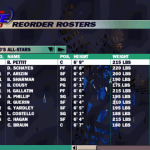 Rounding out the 50s All-Stars squad in NBA Live 2000, Carl Braun and Andy Phillip both enjoyed NBA careers that spanned over a decade, though Braun’s was cut short by two years of military service. Phillip twice led the league in assists per game, and three times in total assists, while Braun was a steady double-digit scorer for eleven seasons. 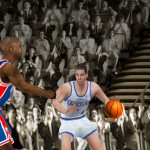 Interestingly, both players were arguably precursors to modern combo guards, entered the league in 1947, and finished their careers with the Boston Celtics, Phillip winning a ring in 1957, and Braun in 1962. 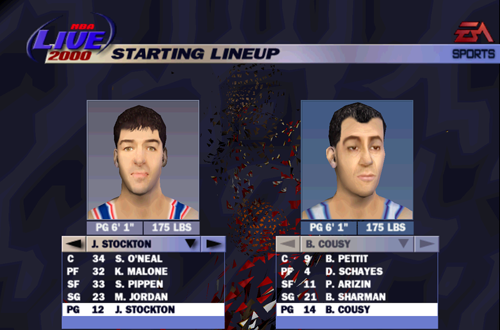 Though these players were before my time, and they admittedly weren’t my first choice of team to play with in NBA Live 2000, I’ve enjoyed learning about the history of the NBA since I became passionate about basketball. I also believe strongly in respecting and appreciating the players who paved the way for the stars that followed. 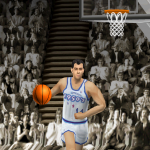 From a gameplay standpoint, the presence of the 50s All-Stars changed things up with a court that lacked a three-point line, as did the courts for the 60s and 70s All-Stars. 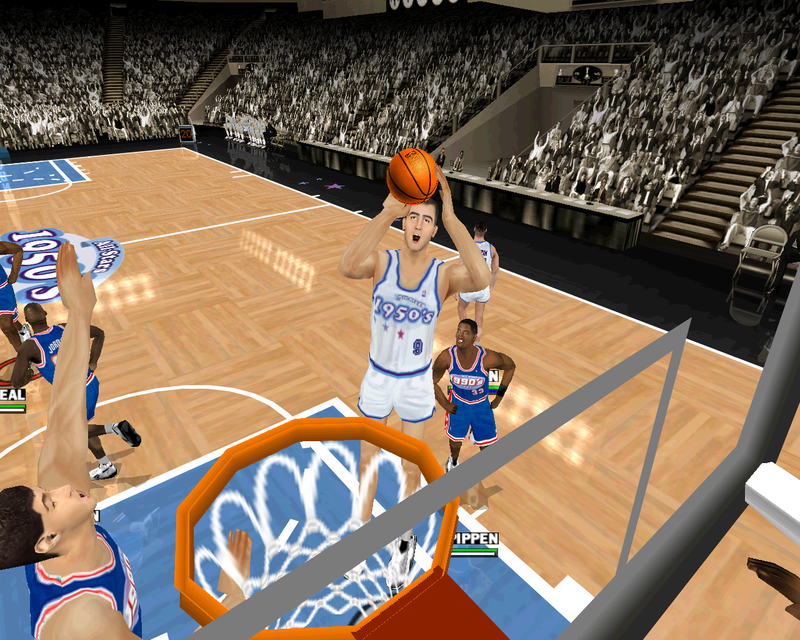 Even if you make a shot from three-point range playing on those courts, it will only count for two points. 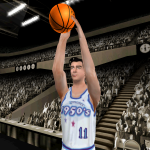 I miss having the Decade All-Stars in NBA Live, and I’d like to see them return. It’d be nice to be able to play with some of the Legends outside of Ultimate Team, as their cards aren’t always easy to come by. 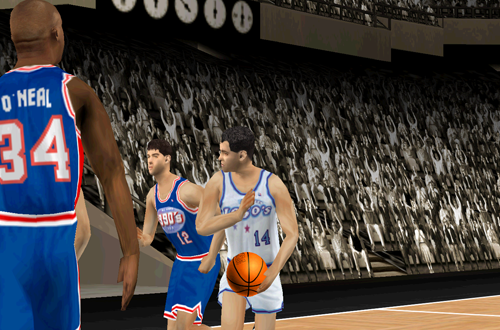 Having said that, I am glad that they are still in the game in some form, and of course, as I mentioned last week, NBA 2K has done a fantastic job with its historical content. 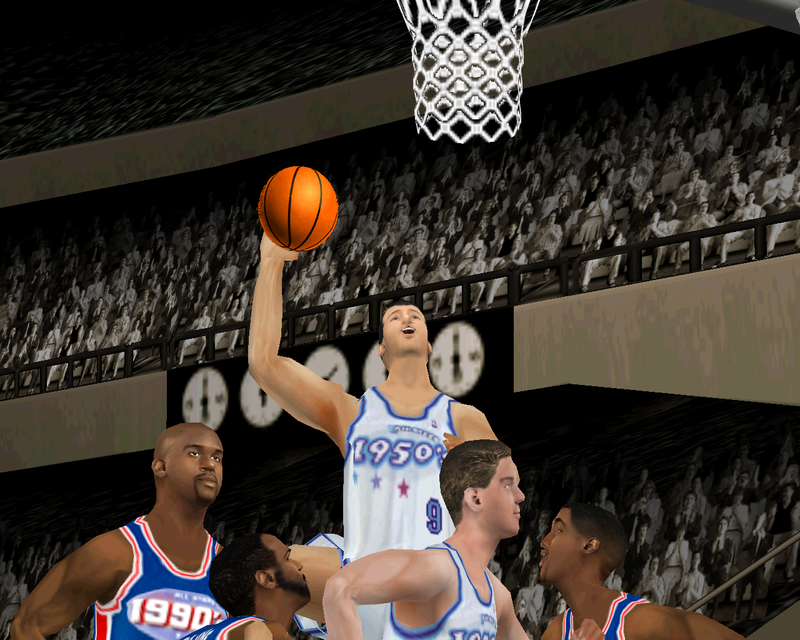 Sadly, only Bob Cousy, Bob Pettit, Cliff Hagan, and Richie Guerin are still alive as of writing. 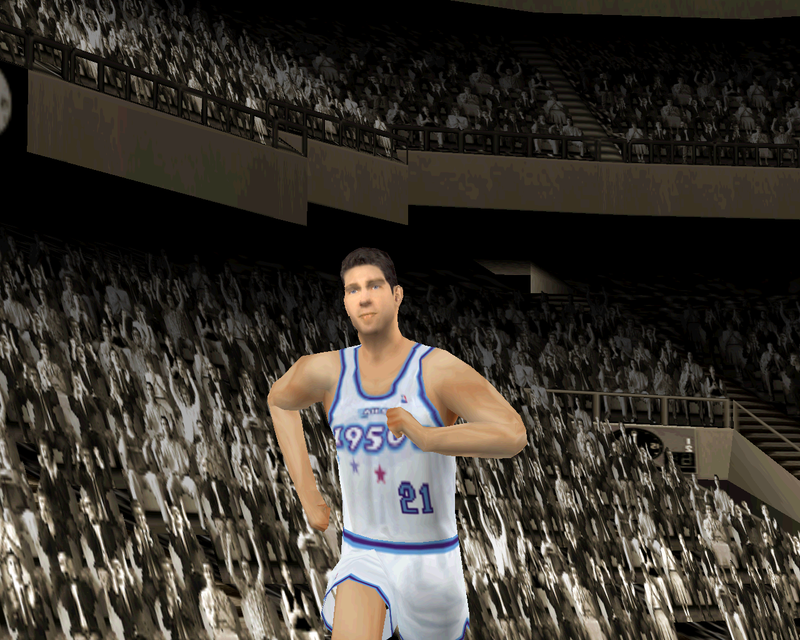 However, the squad has left an impressive legacy, and live on in the form of the 50s All-Stars of NBA Live 2000. I’ll leave you with some screenshots of those legends and pioneers in action.